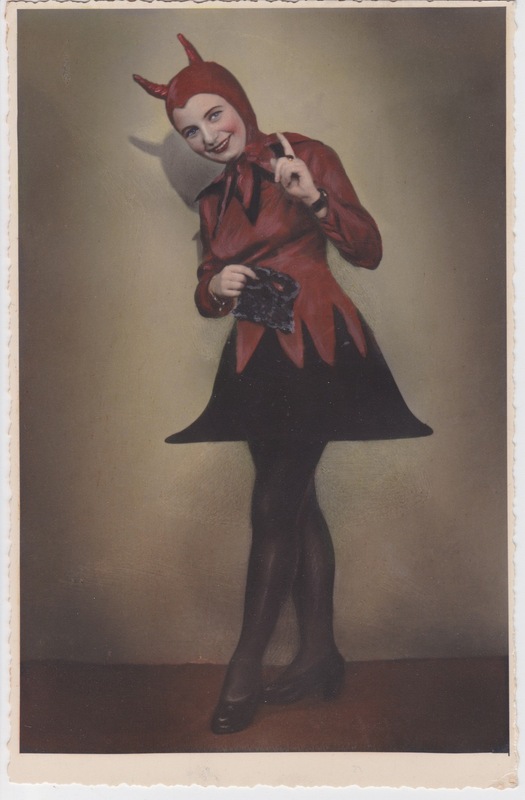 Hand-coloured photograph of a lady dressed as Krampus, the Christmas Devil. Dimensions: 17,5 x 11,5 cm. Krampus is the dark companion of St. Nicholas, the traditional European winter gift-bringer who rewards good children each year on December 6. The kindly old Saint leaves the task of punishing bad children to a hell-bound counterpart known by many names across the continent — Knecht Ruprecht, Certa, Perchten, Black Peter, Schmutzli, Pelznickel, Klaubauf, and Krampus. Usually seen as a classic devil with horns, cloven hooves and monstrous tongue, but can also be spotted as a sinister gentleman dressed in black or a hairy man-beast. Krampus punishes the naughty children, swatting them with switches and rusty chains before dragging them in baskets to a fiery place below. Krampus is celebrated on Krampusnacht, which takes place on the eve of St. Nicholas’ Day. In Austria, Northern Italy and other parts of Europe, party-goers masquerade as devils, wild-men, and witches to participate in Krampuslauf (Krampus Run). 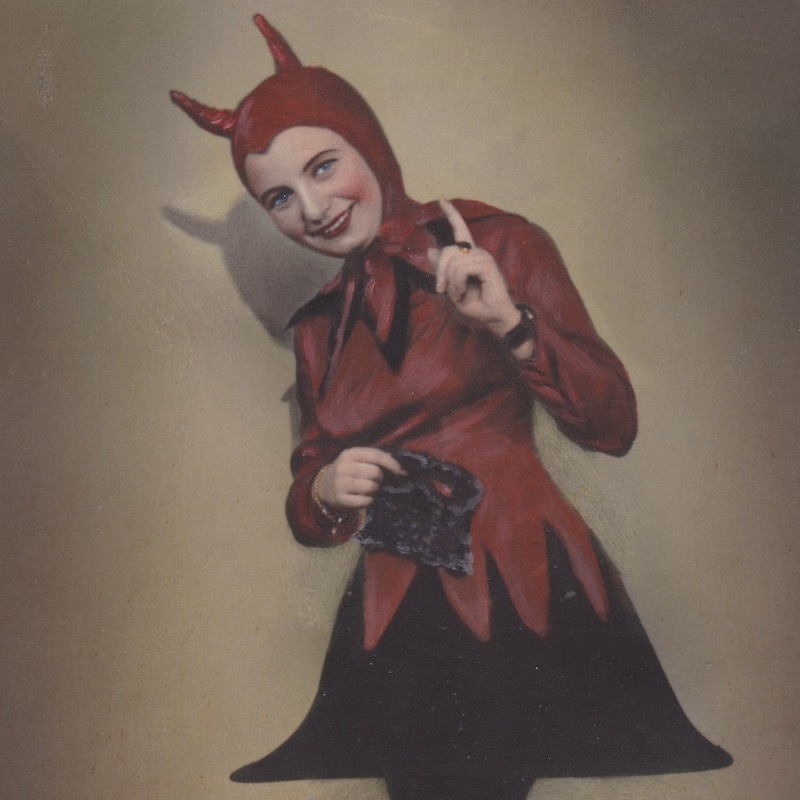 Intoxicated and bearing torches, costumed devils caper and carouse through the streets terrifying child and adult alike. Krampusnacht is increasingly being celebrated in other parts of Europe such as Finland and France, as well as in many American cities.